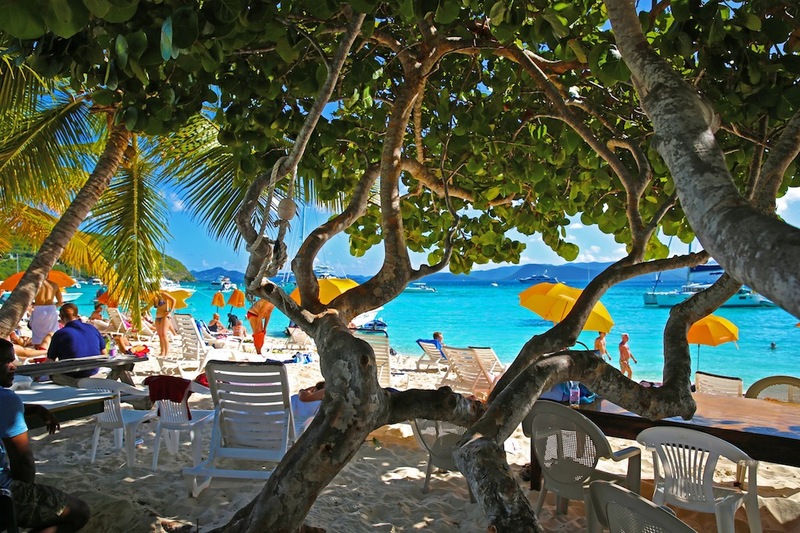 White Bay is one of the British Virgin Islands’ most beautiful stretches of beach, which boasts white powdery sand, clear warm water, and the famous Soggy Dollar Bar. 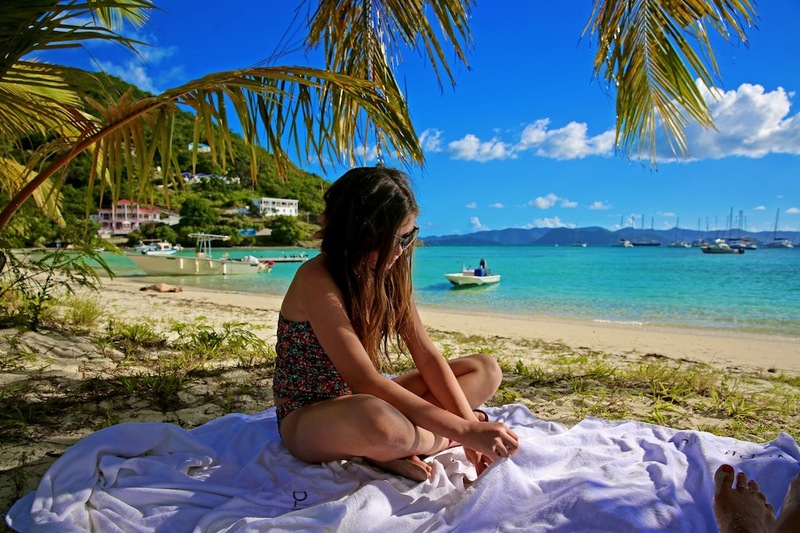 There are multiple casual villas and cottages for rent through White Bay Villas or if you want to be directly on the sand in the middle of it all, the Sandcastle Hotel at Soggy Dollar Bar offers some island-style non luxury accommodations. 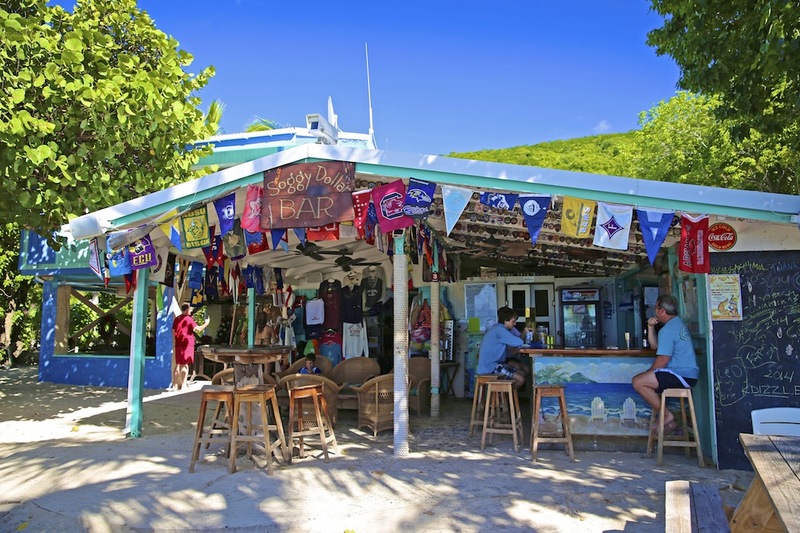 Rumor has it that the Soggy Dollar Bar got its name from all of the people jumping off of their boats and swimming to shore, then having to pay for their drinks with their soggy cash. 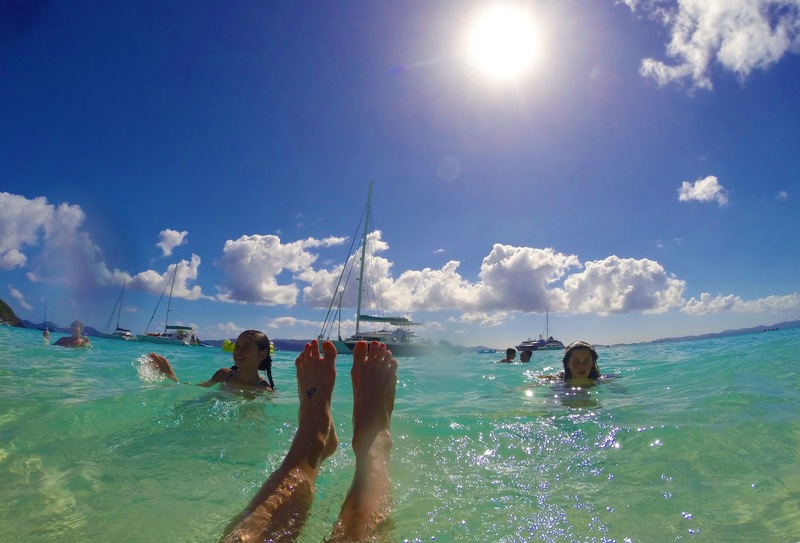 This place is very popular with the yachting crowd and since there is no boat dock, the only way to get here is to swim in. (Or dock at a different part of the island and take a cab in). Being the vegetarian foodie that I am, I should add that they have a very large and satisfying veggie burger on the menu here! 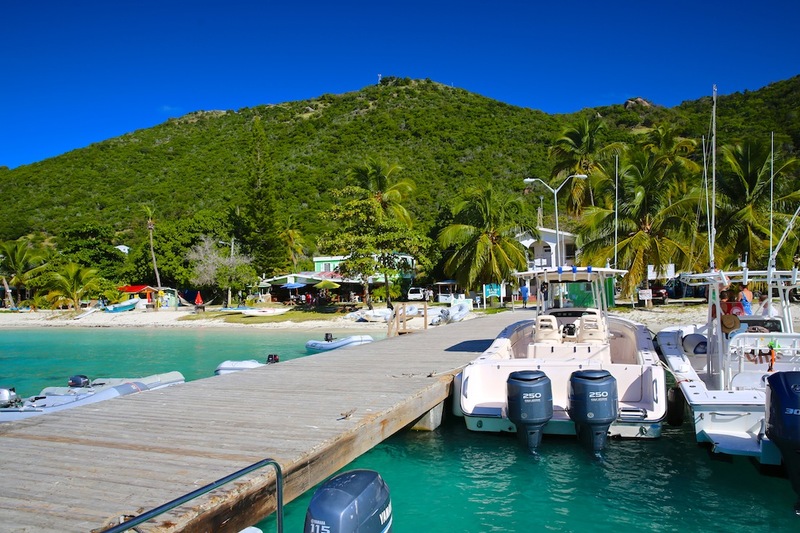 Foxy Callwood is the owner and namesake of the famous Foxy’s bar and restaurant in Great Harbor, BVI. 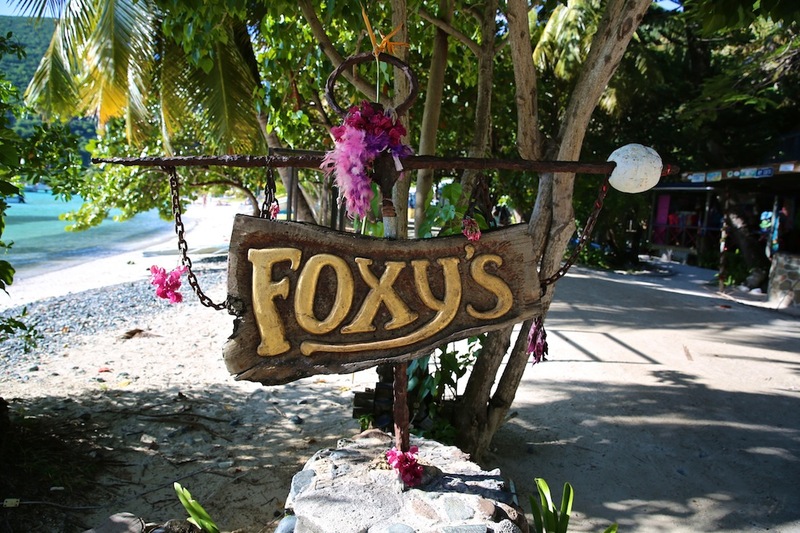 Foxy’s is known for its legendary events and rum cocktails and the only way to get there is by boat. 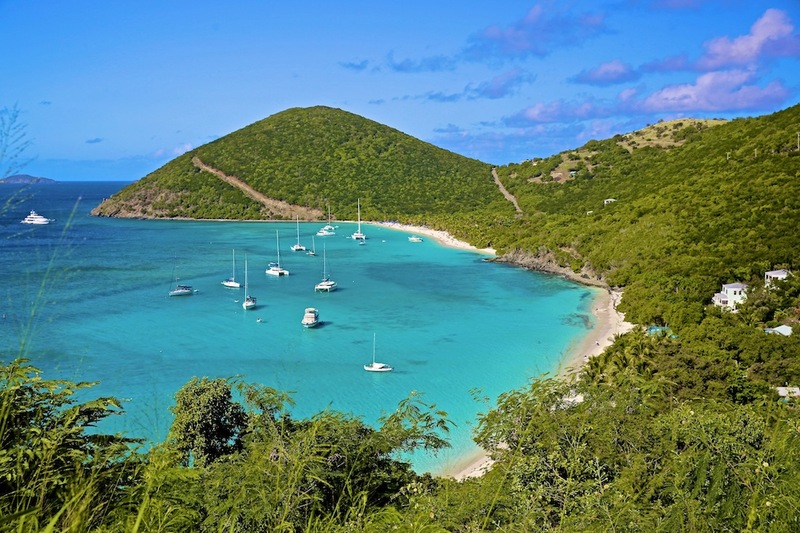 This place, which opened in the 1960’s, is said to be what put Jost Van Dyke on the map for tourists. 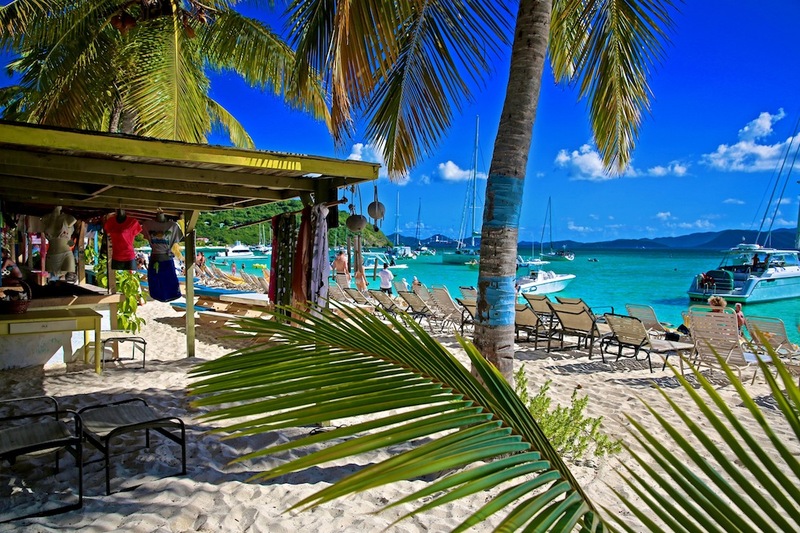 One of the best cocktails in the Caribbean and the most popular drink in the Virgin Islands, the “Painkiller” was first created at the Soggy Dollar Bar right here in Jost Van Dyke. They also make a delicious virgin version for the kids. 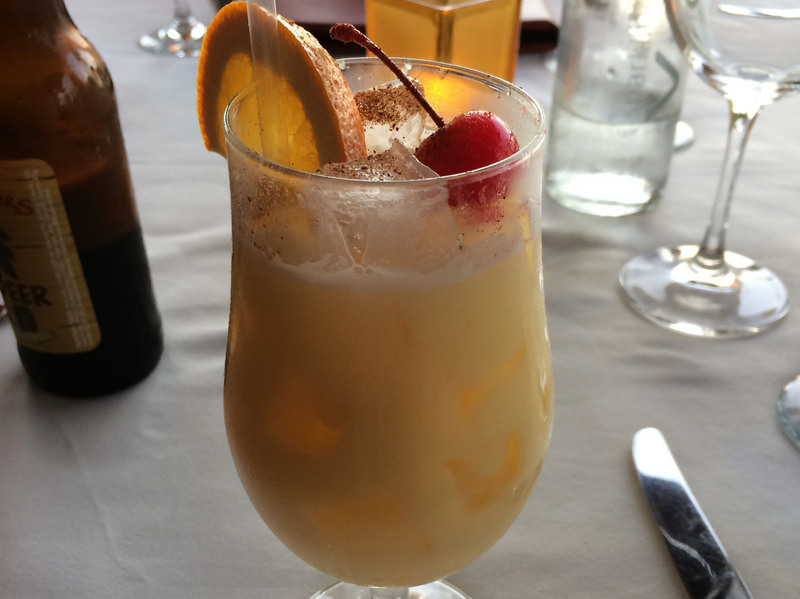 The Painkiller is made of Rum, pineapple juice, cream of coconut, orange juice, and nutmeg. Warm, inviting, and clear as can be. Need I say more? 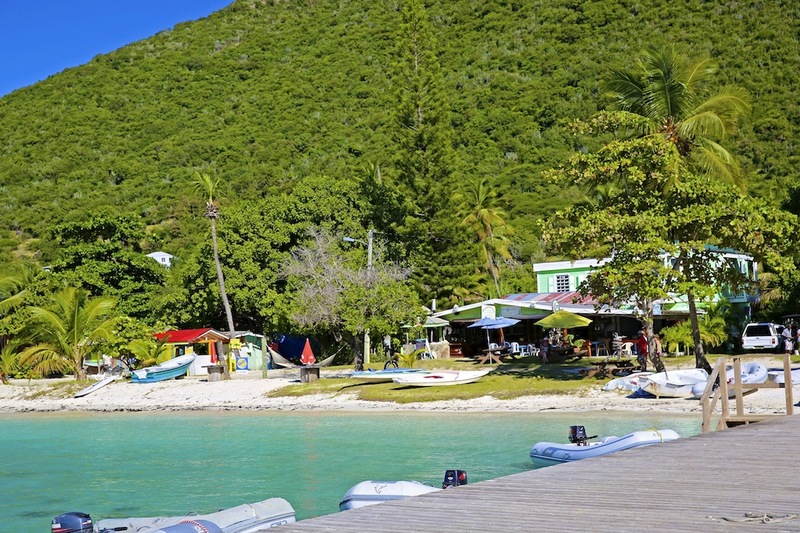 Where do you think White Bay gets its name? Yep, the sand! 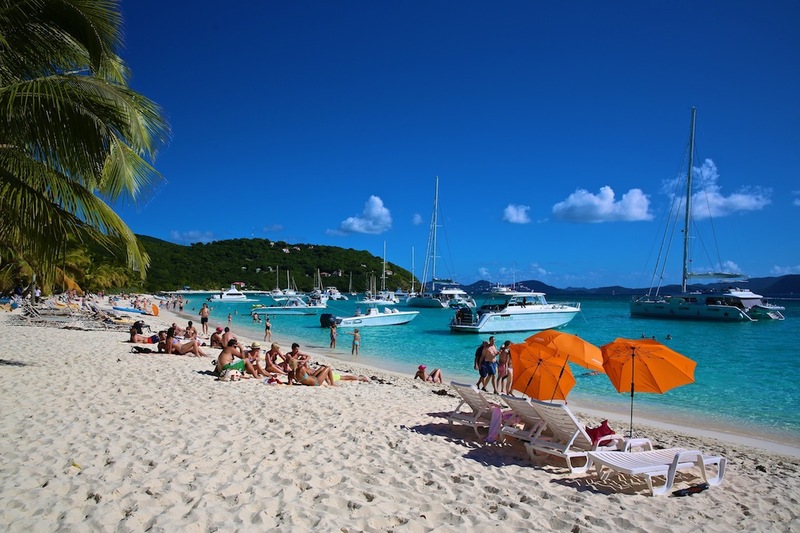 In the British Virgin Islands Jost Van Dyke is the place to go for soft, white, baby-powder sand. 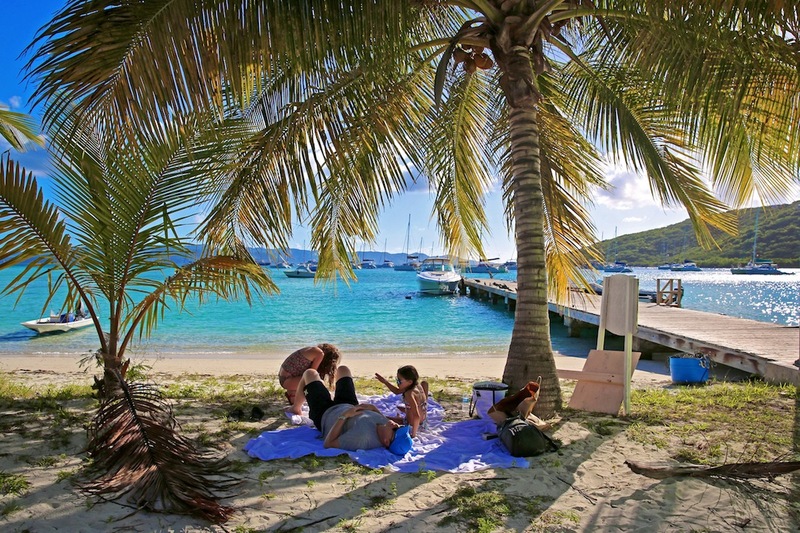 Great Harbor will likely be your first point of entry onto the island of Jost. It has a boat dock and one of the only two immigration offices in the British Virgins. 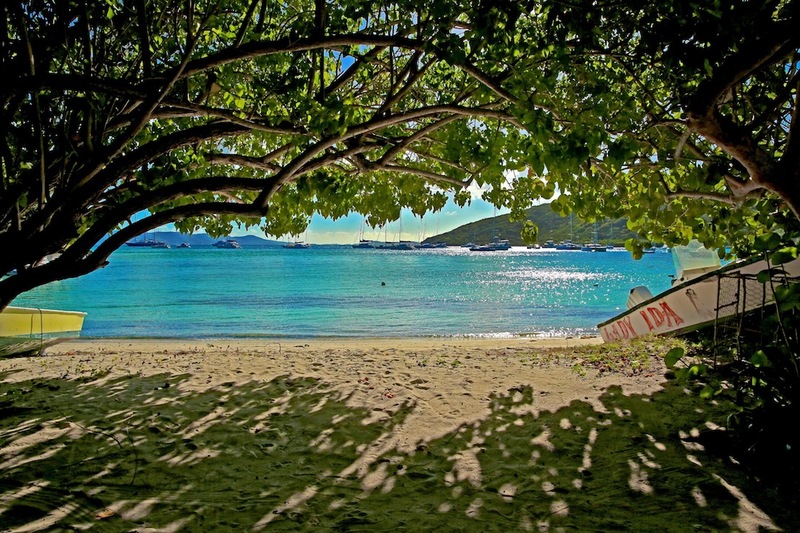 (The other one is on the island of Tortola). 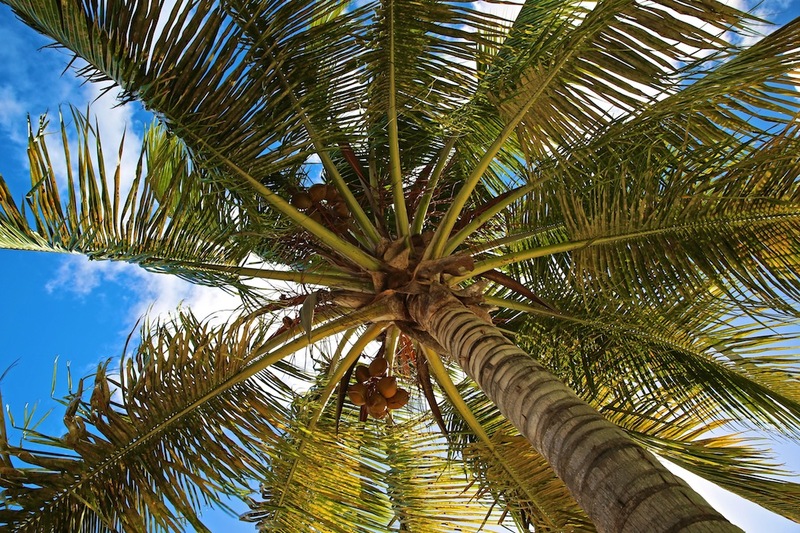 If you are coming from the US Virgin Islands you will need to enter here. This is also where Foxy’s Tamarind Bar and handful of other fun restaurants and shops are located. 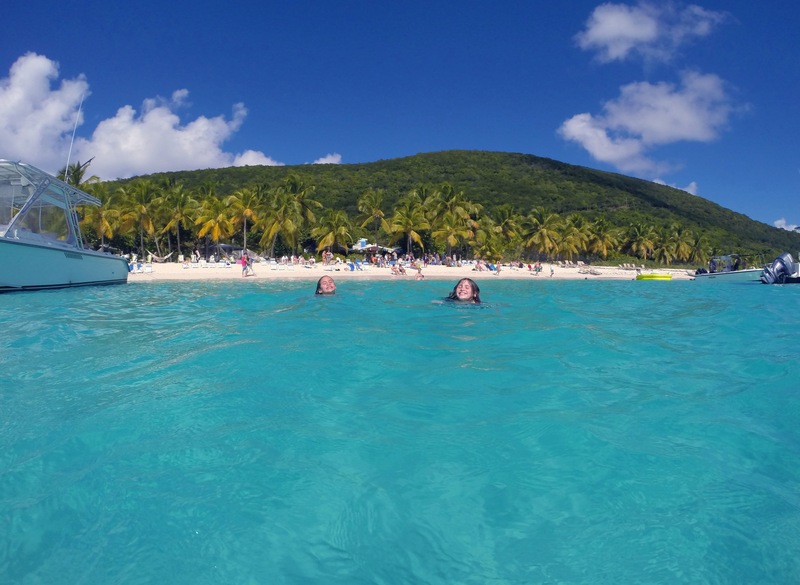 On Jost, everywhere you look is a picture perfect photograph. Among my favorites is the view at the top of the hill on your way from Great Harbor to White Bay. Don’t forget to stop here to steal a picture. Fancy high heels? Not here. 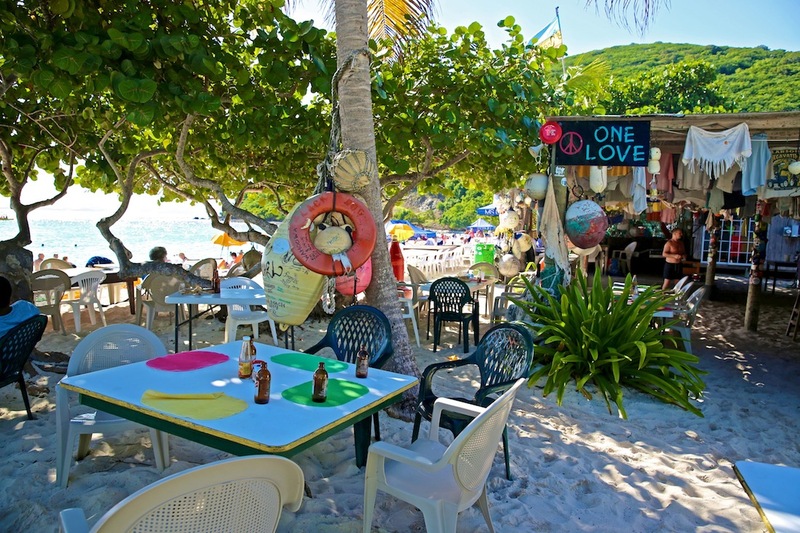 Flip flops and a bikini are all you will need to go anywhere on Jost Van Dyke, where everything is casual and laid back. One wrong statement. JVD & Tortola are not the only Customs offices. 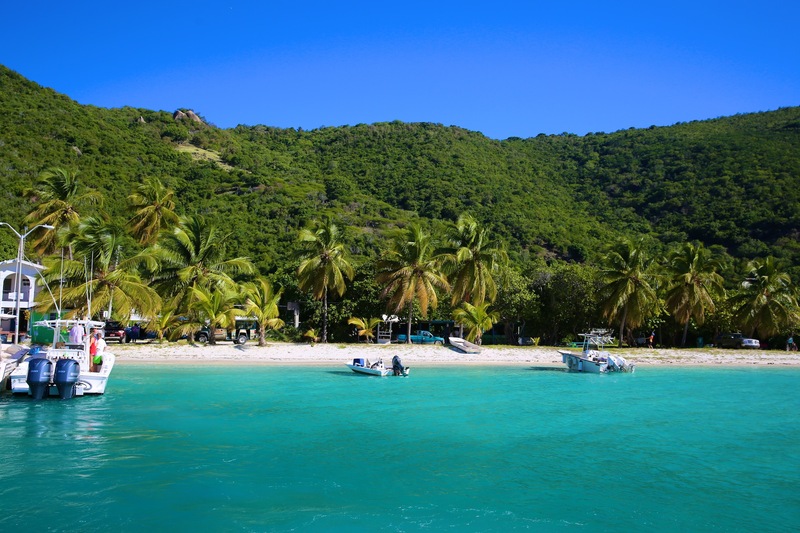 There is also a Customs office in North Sound, Virgin Gorda. I’ve used it many times. Hendo’s Hideout. The drinks and food are great and so is the staff! How can you leave Corsairs off this list. 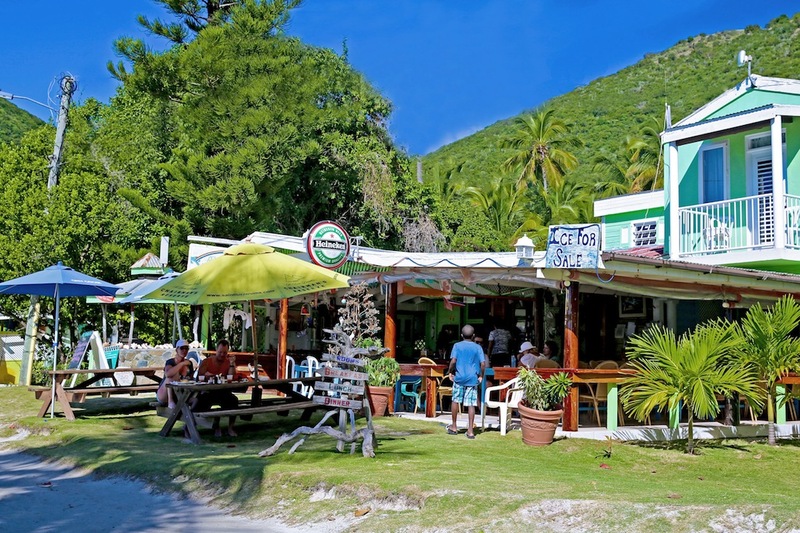 Best bar, pizza and seafood dinner on island ! Another Voodoo please. Don’t forget Ivan’s Stress Free Bar and One Love Bar and Grill! Bikinis arent all you need. 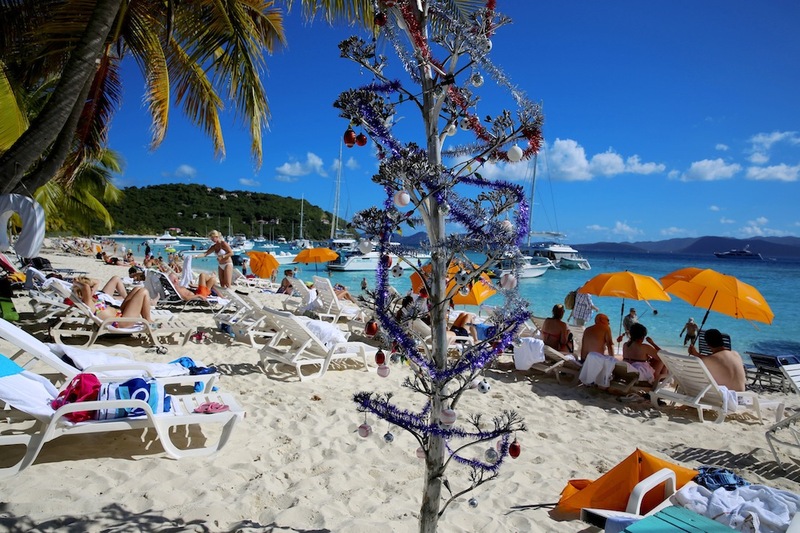 Virgin Islanders are very religious and traditional, cover up if you are off the beach. You’ll see many in Road Town with suits, dresses, heels and polished shoes as they go about their daily business. 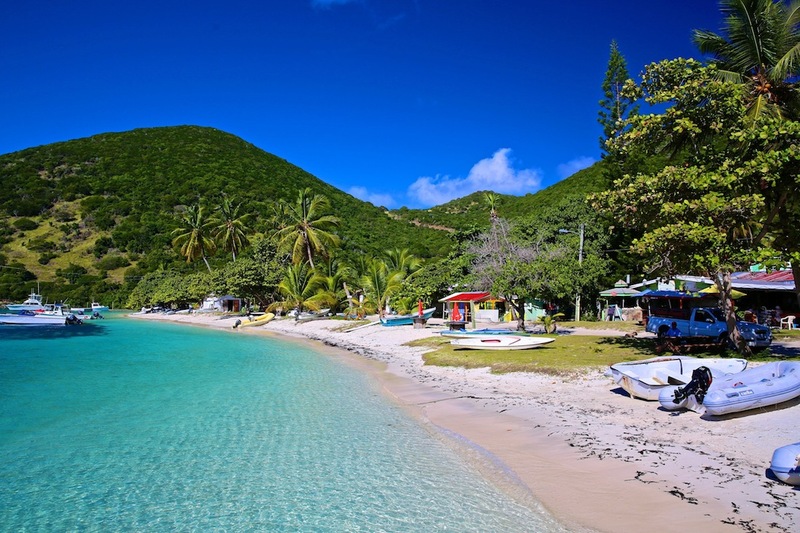 Jost Van Dyke, my mother’s birth place … absolutely beautiful! Next time be inclusive of all the bars along the shores of White Bay, UNLESS, there is a compelling reason why you did not. Reading this article does not indicate that there are more than three watering holes. Visitors will make their choices accordingly.